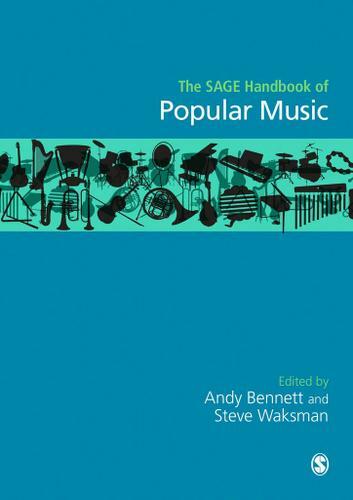 "The SAGE Handbook of Popular Music is a comprehensive, smartly-conceived volume that can take its place as the new standard reference in popular music. The editors have shown great care in covering classic debates while moving the field into new, exciting areas of scholarship. International in its focus and pleasantly wide-ranging across historical periods, the Handbook is accessible to students but full of material of interest to those teaching and researching in the field." "Celebrating the maturation of popular music studies and recognizing the immense changes that have recently taken place in the conditions of popular music production, The SAGE Handbook of Popular Music features contributions from many of the leading scholars in the field. Every chapter is well defined and to the point, with bibliographies that capture the history of the field. Authoritative, expertly organized and absolutely up-to-date, this collection will instantly become the backbone of teaching and research across the Anglophone world and is certain to be cited for years to come." Each section has been chosen to reflect both established aspects of popular music studies as well as more recently emerging sub-fields. The handbook constitutes a timely and important contribution to popular music studies during a significant period of theoretical and empirical growth and innovation in the field. This is a benchmark work which will be essential reading for educators and students in popular music studies, musicology, cultural studies, media studies and cultural sociology.